Heavenly Father, I come before you knowing that You are supreme and that you know all things. Father, You are the source of our strength and I ask you to strengthen Kevin McAleenan as he embarks on a new and most likely one of the most challenging jobs he's ever faced. Father, please help him to make the best decisions for not only this nation but for those who may actually be fleeing persecution and trying to get their families in a better situation. We know Father that you love all people the same because we are all Your creation! Yes, these are difficult problems our leaders face, but Father you have the solutions. I ask Father that you give those solutions to the men and women in leadership roles here in the United States of America. Father, it is through Your Son Jesus, the Christ I pray these things. Amen! Thank You Lord for Kevin. Father you are concerned about the immigrants as well as protecting US citizens. We thank You Lord for wisdom and strategies on border security for Kevin. May You give him the words to speak that will penetrate the hearts of the listeners as he shares his knowledge and concerns regarding border security issues and resolutions. Continue to have him stand for what is right approach with no compromise. thank You Lord for protecting Kevin and his family and all border security personal. Thank You for loving all involved and giving the right solutions for everyone concerned about border security. Lord, I pray that You will make Commissioner McAleenan equal to such a time as this. Our country needs Your help in dealing with the influx of immigrants and all the attendant complications. Bless him with Your strength, wisdom, discernment and provide for him administrators, officers, and support staff excellent in every aspect of their position. Keep him and his family safe as he deals with all the controversial issues generated by the problems at the border. In Name of Jesus, Amen. 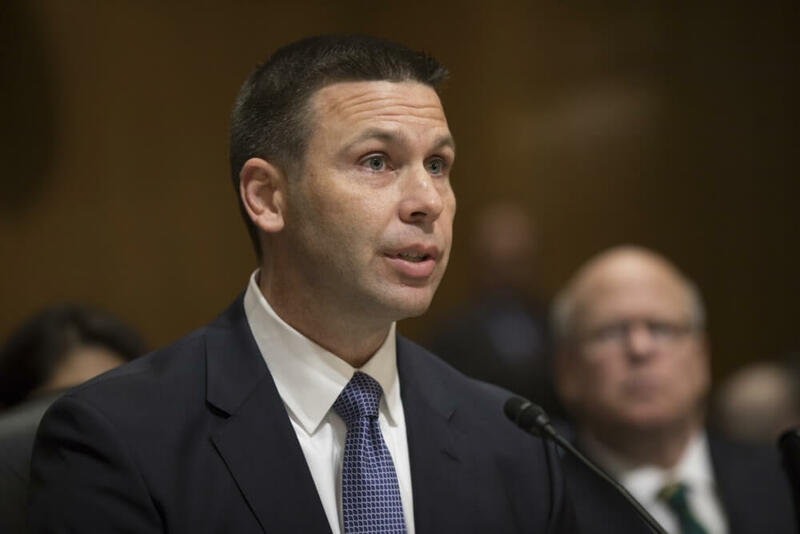 Heavenly Father I ask you to bless Kevin McAleenan with e supernatural wisdom to lead in keeper my our borders safe from every evil or toxic situation and keep he, his family, and all those who guard our borders safe day and night! Shine Your Glory light on every tunnel or illegal means of entry into our nation. Send warrior angels to minister guidance and wisdom to ever person protecting and watching our borders; and keep them safe. Protect them at all times and Abundantly bless their efforts, especially when they feel overwhelmed, especially Kevin and all in leadership who bravely and wisely protect the people of the aunties States Of America. I pray for your safety and security at this unprecedented time. I pray the good Lord hold you in wisdom and discernment to assist in protection of our sacred border. We thank you for your services and especially those that don’t necessarily meet the eye. Thank you. Lord, I thank you for his wisdom and professionalism. Protect him, his family and entire department. My the entire dept recognize Your Presence of peace, clarity of mind and discernment for solutions and communications. Thank You for His leadership. Bring encouragement and good rest to him. Kevin, I pray for your strength and guidance from above to keep America what our LORD wants it to be. May mighty forces come to your aid to do the right things for America and all Christians everywhere.